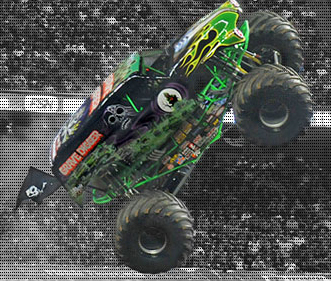 Mittler Bros. customer Dan Bright helps keep Grave Digger airborne. If you've ever been thrilled by one of Grave Digger's wild runs, it should come as no surprise that it takes a dedicated team of mechanics & fabricators to keep the truck show ready. Mittler Bros. customer Dan Bright is one of those fabricators. 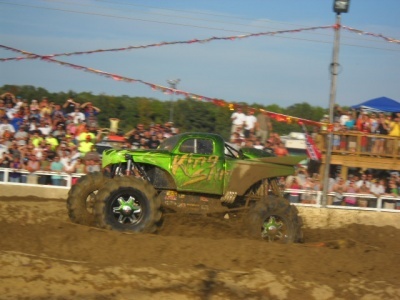 Dan spends his day at Digger's Dungeon in Kill Devil Hills, NC, the home base for the Grave Digger monster truck team (and many of the other Feld Entertainment Monster Jam trucks.). The shop uses a Mittler Bros. Ultimate Tube Notcher & 180° Tube Bender to help build and maintain the fleet of "Black & Green Wrecking Machines". Dan also has a home workshop that would make many a 4-wheeler envious. He wanted to share these shots of his workspace, equipment, & latest project. 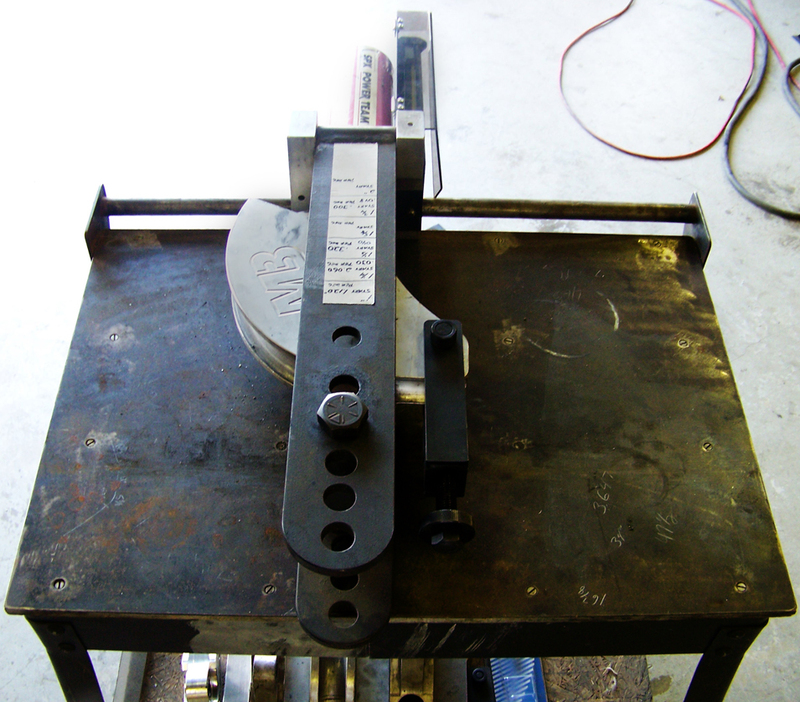 He owns a Mittler Bros. 90° Tube Bender, 180° Manual Tube Bender, & Ultimate Tube Notcher. His kids also like to help out (under close supervision, of course!) 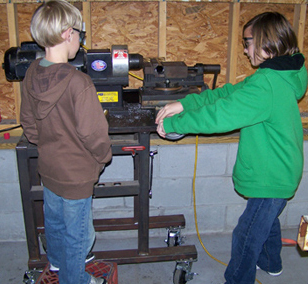 "My boys get a kick out of helping", says Dan, "They don't realize they are working with nicer equipment (at home) than many full time fabrication shops have!" 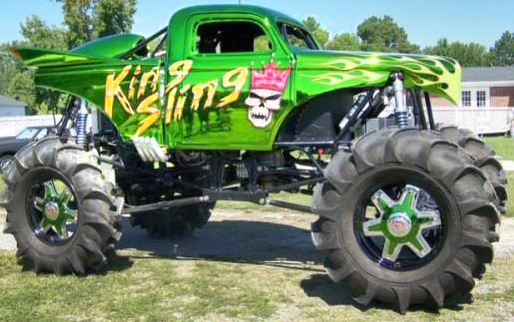 Here is Dan's latest project; the King Sling mud truck. 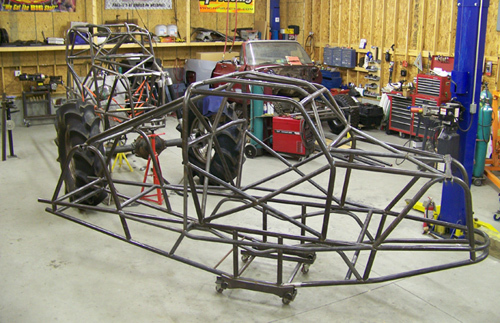 This beast is being built for Dennis Anderson (Grave Digger's founder & multiple time World Champion driver). 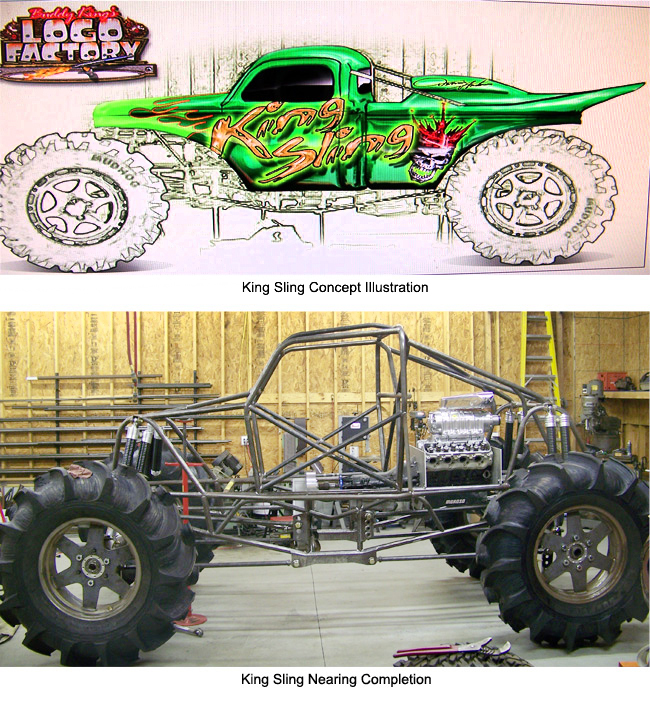 It has a 4 link suspension, nitrogen charged bypass shocks, and shares many other similarities to its monster truck bigger brothers. We would like to thank Dan Bright for sharing his story with us!